Self magazine is asking all nail art fanatics to tweet photos of their manis this month to @SELFmagazine (with #nailart) for a chance to be featured on the magazine's Nail Board on Pinterest. 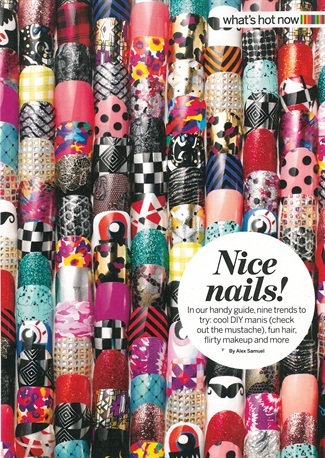 The mag is also giving away 1,250 free nail polishes. Visit self.com/nail-art for dates and details.